President Trump's response to racial violence is putting his business in Scotland under new pressure. Tens of thousands of people have signed a petition calling for officials to block plans for a second Trump golf course near Aberdeen, and a Scottish politician is demanding the government withdraw its support for Trump's businesses. 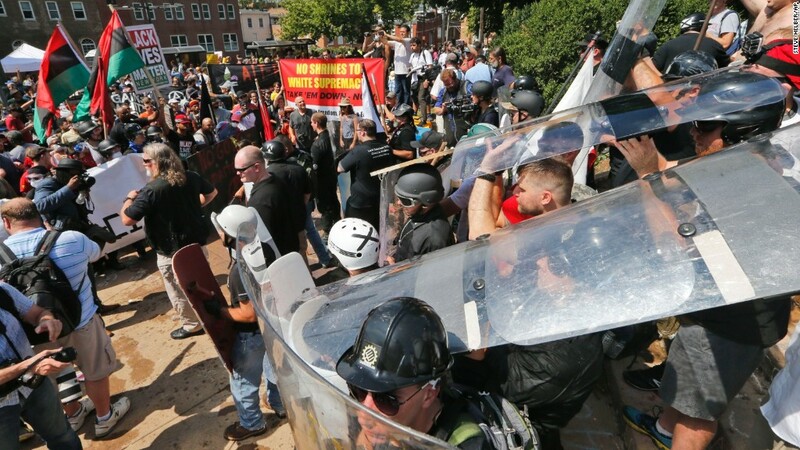 It's yet another example of pressure being applied to Trump businesses after the president equated white supremacists with counterprotesters following violent clashes in Charlottesville. In the U.S., a flurry of prominent charities have canceled events that were to be held at the president's Mar-a-Lago club. 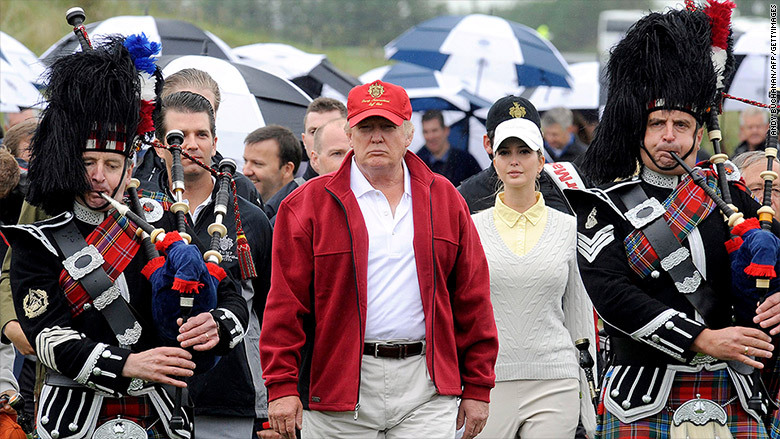 Trump's two golf resorts in Scotland have long been the subject of controversies involving environmentalists, local residents and politicians. But discontent has intensified after Trump blamed "many sides" for the violence in Charlottesville. Over 77,000 people have signed a petition opposing a planned expansion of the Trump International Golf Links near Aberdeen, which would include the addition of a second 18-hole course. "Trump's rhetoric has bolstered white supremacists across the globe leading to the horrific events in Virginia. Now we have a chance to reject Trump's hatred and protect our environment in one fell swoop," says the petition, which was launched by consumer advocacy group SumOfUs. The Scottish Environment Protection Agency (SEPA) and Scottish Natural Heritage previously objected to the expansion because of worries over the environment. SEPA raised concerns about waste water disposal and the wider protection of the water environment at the site. The local council, which had been due to decide the matter on Tuesday, has delayed its decision until at least September 12. Meanwhile, a prominent member of the Scottish Green Party has sent a letter to First Minister Nicola Sturgeon urging the national government to withhold support for Trump businesses in order to avoid "tarnishing Scotland's own international reputation." "Given that Trump courted the support of the far right during his campaign ... we should not feign surprise at these events," Patrick Harvie wrote in his letter. "The Scottish government must ensure that no form of political, operational or business support is given to any Trump enterprise in Scotland." Harvie said the Scottish government should not provide support to Trump businesses through tax breaks or Visit Scotland, a publicly-funded organization that promotes tourism. He also raised concerns over promotions for Turnberry -- Trump's second course in the country -- at a nearby airport that is owned by the government. Barbara Clark, head of media at Visit Scotland, said the Trump courses are promoted only as part of the country's "rich golf offering." She said the organization "would not comment on President Trump's personal or political views." A spokeswoman for the airport confirmed that it promotes the Trump resort, but said there is no formal business relationship. Harvie said he hoped that his letter would spark a broader discussion in Scotland. "I am hopeful that [First Minister Nicola Sturgeon], and other political parties, may agree that a wider package of actions is needed," Harvie said in an email. Asked for comment, a spokesperson for the Scottish government said that "prejudice and hate crime will never be tolerated" in the country. But the spokesperson did not address questions about specific steps that could be taken in regard to Trump businesses. It's not the first time Trump has faced criticism in Scotland. The Scottish government stripped Trump of his "GlobalScot ambassador" status in December 2015 after he called for "complete shutdown of Muslims entering the United States." The GlobalScot is a network of business leaders with Scottish connections. Aberdeen's Robert Gordon University has also revoked an honorary degree it awarded Trump in 2010. The university said that Trump had made a number of statements that were "wholly incompatible with the ethos and values of the university." -- Alanna Petroff contributed reporting.